Our Basic Introduction is for first time climbers or for those with limited experience. The main focus is having fun and spending a lot of time on the rock. You will learn the essential skills like belaying, rappelling, knot tying, climbing techniques and climbing safety. With a full staff of AMGA-certified guides, you'll be learning from the best. The Next Step course is for those who have learned the basics, or a gym climber wanting to step outside. This class will improve your climbing technique and also cover anchor building, risk management, and traditional gear placement. You will spend plenty of time on the rock and the focus of the course will be determined by your personal climbing goals. Half and Full day classes available. Climbing fun for the whole family, our trips are a great experience for kids and parents alike. Regardless of climbing experience, or if there is a wide range of abilities, there will be climbing fun for everyone. We will teach all the basic skills needed to be safe, and there will be plenty of time on the rock. 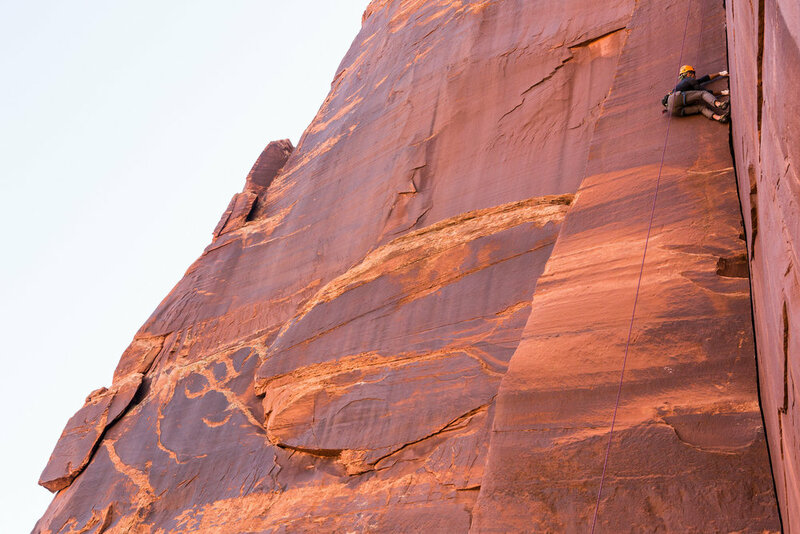 This is your chance to not only view the breathtaking beauty of Moab's cliffs, but actually climb on them! Rock Master courses are custom tailored to improve your power and endurance, as well as your crack, face, and multi-pitch techniques. Learn mental focus, fear management, effective training, gear placement and anchor building, as well as advanced safety techniques. We can also help you with your aid climbing and big-wall techniques, as well as rudimentary or advanced ascending and hauling systems. Advanced climbing instruction is for those who have experience on the rock and want to take their climbing to the next level. The course will focus upon those skills which will most benefit your specific climbing goals and can be customized to your individual needs. You will learn advanced techniques on some of the finest routes in the desert, and will be working with a full staff of AMGA-certified guides who will expand the limits of your climbing ability. Half, full, and multi-day classes available. 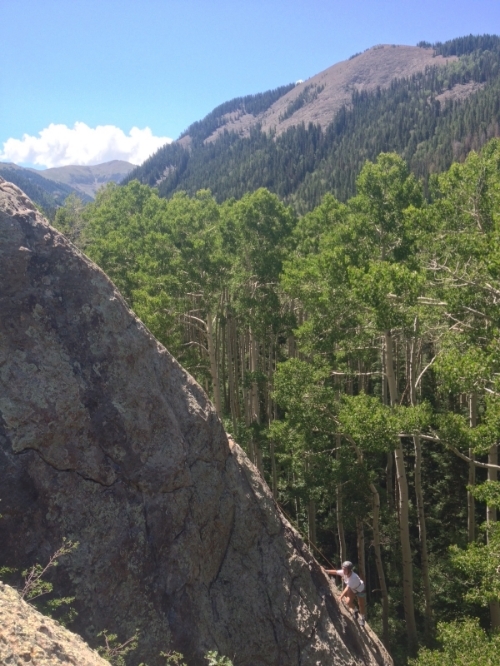 Indian Creek is widely considered to be the best crack climbing area IN THE WORLD! We have been climbing and guiding there far longer, and far stronger, than any other guide service in the area. Thousands of cracks soar up the steep sandstone walls that rise above the beautiful valley of Indian Creek. This is a magical and unique place to climb. Because of their sustained parallel nature, some cracks can use as many as 10 camming devices of the same size. Your guide will be fully equipped with such a rack, and with a full tank of psych, can take you to the many sought after classics! For climbers operating in the 5.9 and higher grades, "The Creek" is THE place to learn to crack climb. Full day classes only. See the Splitter Camp page for additional offerings.